This new kind of casting net is ideal for the beginner, because the cast net practically opens itself every time you throw it. The secret to it's ease of use is its patented ACCUTHROW RING. The aluminum ring at the top of the net displaces centrifugal force evenly to the cast net ensuring it will open correctly every time. 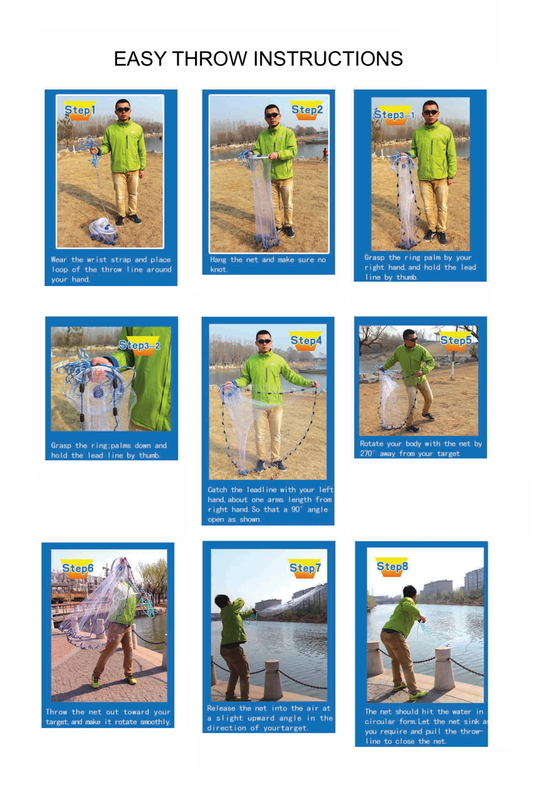 With this cast net, every fisherman can throw A PERFECT PANCAKE like a professional in minutes.